2 Combine all ingredients in large bowl and scrape into 1-quart baking dish. Bake 35 minutes or until golden brown and bubbly. 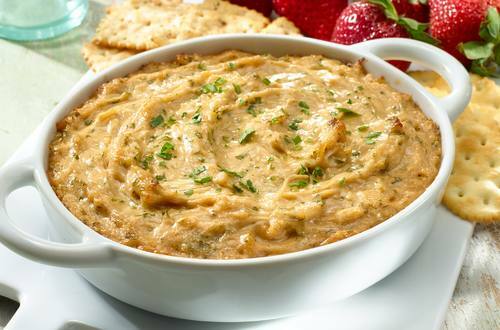 Serve with crackers and strawberries.